Katherine Bertolucci is the leading information management consultant specializing in persuasive arrangement. Is your organized information sending a winning message? Do your taxonomies and classifications help users find data? Or are they fighting with disorganized and poorly labeled lists? Like all communication, organized information persuades and dissuades with subtle clues. Unintentional clues may have negative effects on your project. Is your structured information working for you or against you? One of the first to develop taxonomies for non-biologic information, Katherine Bertolucci began building new classifications immediately after graduating from library school at the University of Chicago, a dramatic departure from traditional librarianship. That began a career of taxonomy and classification constructions for a multitude of subjects and data types. Based in Phoenix, Katherine works on large and small projects, with such well known clients as Lowe’s Home Improvement Centers, Procter & Gamble, and Snoopy. Services include new taxonomies and classifications, arrangement advice, and critiques of existing organizational structures. Katherine’s lengthy experience in the design and observation of organized information will help you build persuasive arrangements for your users. 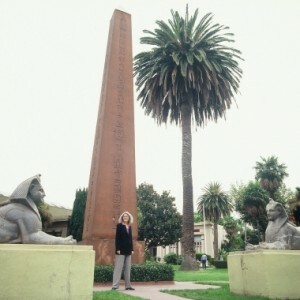 Katherine Bertolucci examines how name arrangement determines the power and experience of a memorial in her “Names on a Memorial” series at IsisInBlog. At the World Trade Center memorial in New York, the proposed random arrangement angered the community and almost derailed the project. Katherine writes about the memorial’s change to an arrangement of “meaningful adjacencies” in her 9/11 10th Anniversary post. 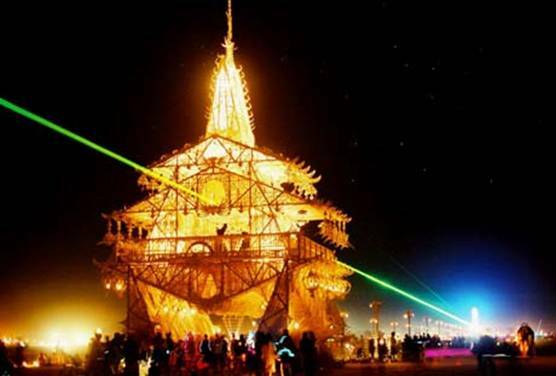 At the Memorial Temples of the Burning Man art festivals in Nevada, the same random arrangement that disrupted the World Trade Center memorial instead builds community. A chronology of names gives the Vietnam Veterans Memorial its power by symbolically reuniting veterans with their fallen comrades. The Memorial to the Missing of the Somme in France does the same thing, but with a different arrangement reflecting the context of a single battle in World War I. This memorial influenced the Vietnam Veterans memorial and the Burning Man Memorial Temples. Katherine’s post for 11/11/11 looks at a new Veterans Memorial in Anthem, AZ where the focus is on astronomy but a small arrangement decision makes all the difference. On the 70th anniversary of the attacks on Pearl Harbor, Katherine wrote about the equalizing arrangements of the memorials in Hawaii. 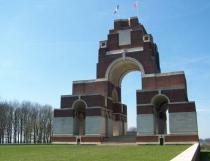 Photo Credit: Memorial to the Missing of the Somme, courtesy of Commonwealth War Graves Commission. Photo Credit: “The Temple of Joy at Night,” © Jim Hammer and Burning Man. More photos by Jim Hammer on Flickr.